Browse through our Maui Portrait Photographer list below. There really is nothing like capturing your trip to Maui with a professional vacation portrait. With Maui's many gorgeous beaches and tropical settings, it's easy to get that once in a lifetime photograph of you and your loved ones. Incredibly enough, you can get your portrait done for a very reasonable amount. A portrait shoot can be completed in an hour of your free time. Many people choose to do it before a nice dinner for sunset, or early in the day when the sun lights up the ocean. Make certain to look through the photographers listed to find the style that suites you best. Natalies goal is to create unforgettable memories of your Maui vacation. She has extensive experience in photographing families, children, couples, and large groups. In an hour and a half you can expect well over 100 wonderful pictures to choose from with as many different groupings as you'd like. With competitive rates and a fast turn around, you'll be thoroughly satisfied with your Maui photos for years to come. The Photography by Karma Hill team is fun and approachable. We pride ourselves in creating images as unique and special as our clients while incorporating Maui's breathtaking scenery. All packages include high resolution digital images and custom proofing website you can share with friends and family. 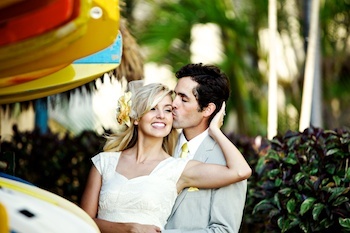 Aubrey Hord Photography is a high-end digital photography company specializing in portraits and weddings known for its beautiful, elegant, fun and creative imagery on the island of Maui, Hawaii. Serving both the Wailea and Kaanapali area, Grins 2 Go will take your morning or sunset portrait by a professional photographer. Specializing in beach portraits, they have the experience and skills essential to capturing Maui's ever-changing outdoor lighting situations. Read more about Grins 2 Go as well as see photo examples of recent portraits. I strive to create meaningful and lovely photographs, paying close attention to every detail of your day. Your wedding will be expertly documented with timeless, thoughtful and exquisite style. See more examples of wedding and portrait photography by Anna Kim Photography as well as a thorough description of her services. Maui Vacation Portraits was created to help families of all sizes, couples and high school seniors document their amazing time in Maui through professional photos. Since you can’t be behind the camera and in front of it at the same time, let us capture some life long memories for you. Maui is the perfect place to preserve the best vacation memories with family and friends. Our fun family portrait sessions last about an hour and start at only $145 for groups of up to 5 people. Print packages start at only $3 with no minimum order. Expect great quality and super quick turnaround. I feel lucky to have the privilege to witness and document such personal expressions of love and celebration. Utilizing a combination of natural light, off camera flash with posed and candid moments, I aim to capture the moments in between; a stolen glance, a sweet giggle or a candid smile, these are the images that you will treasure forever. I look forward to hearing from you! Heartstrings Photo Company is a small boutique portrait studio consisting of experienced photographers based on the island of Maui. Our emotive style of family photography captures the beauty of human connection along with the gorgeous backdrop of Maui and the Hawaiian islands. Capture Aloha Photography offers a small team of affable, talented photographers who mix creativity with fun to document your family's most memorable moments. With over fifteen years of experience, and equally adept at recording posed photographs as candid shots, they specialize in color, natural light, and off-camera flash, making them an excellent choice for sunset portraits and ceremonies.